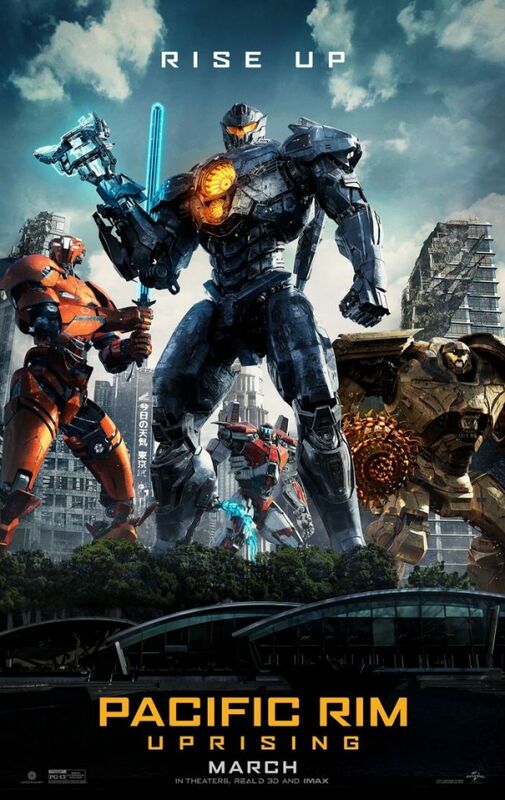 A new promotional video has been launched for the upcoming American sci-fi monster film, "Pacific Rim Uprising." The video, which is currently being streamed on Cinema Today's official YouTube channel, was first launched at the "Daizekkyō Ōen Jōei-kai with Mizuki Ichiro (Big Shout Cheering Screening Event with Ichiro Mizuki)" that was held on Feb. 4 at the United Cinemas Toyosu in Tokyo, Japan. It shows how the movie protagonist, Jake Pentecost (John Boyega), is recruited by his estranged sister Mako Mori (Rinko Kikuchi) into a new group of Jaeger pilots gearing up to combat an army of newly evolved Kaiju. Jake may have initially shown reluctance to take on the role, but subsequent and more violent attacks by the Kaiju will eventually move him to live up to his late father's heroic legacy by leading the fight against a much stronger set of enemies. In addition to fighting the Kaiju, they will also have to uncover the mystery behind these creatures' return and the speculations about someone among their ranks possibly letting them out. The upcoming movie was filmed in Australia and China. Dr. Jack Gao, who is the executive at Beijing Wanda Cultural Industry Group that owns Legendary Entertainment, teased that the sequel movie's narrative "has a strong connection to China." Steven S. DeKnight, best known for previously helming Starz's "Spartacus" and Netflix's "Daredevil," has taken over the directing duties from Guillermo del Toro, who directed the first film. Other cast members include Scott Eastwood as the gifted pilot Lambert and Cailee Spaeny as the 15-year-old Jaeger hacker Amara. "Pacific Rim Uprising" will be released on Friday, March 23, by Universal Pictures in the United States. Warner Bros Pictures, on the other hand, will be handling the movie's worldwide distribution. The upcoming sequel movie will be available in 2D, RealD 3D, and IMAX 3D.